The U.S. investment fund Blackstone acquired 44% in Leica Camera from the Austrian investor Andreas Kaufmann. Leica, which is well known as German manufacturer of cameras, has a new shareholder. 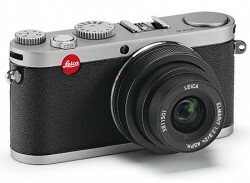 The major owner, the Austrian investor Andreas Kaufmann, sold a 44% stake in Leica to Blackstone. This article includes a total of 213 words.